Virginia’s mountains are an irresistible getaway for visitors in all four seasons. The rugged landscape, with peaks rising more than 4,000 feet, provides breathtaking views. The valleys below are home to vibrant cities and charming towns brimming with mountain culture, music, food and hospitality. The iconic Blue Ridge, immortalized in music and literature, and the soaring Alleghenies meet in Virginia, to form a mountain lovers paradise just waiting to be explored. Every day in Virginia’s mountains is a new adventure. Like the mountains themselves, the opportunities for fun and adventure surround you. The outdoor recreation is world-class, including hiking, mountain biking, road cycling on scenic byways, paddling peaceful rivers and reeling in trophy fish on cool mountain streams and lakes. History of Virginia is alive and on display. Retrace the route of early American pioneers, learn about the rich history of the railroad in Virginia, and understand the vital role the region played in winning World War II. A beautiful covered bridge built in 1857 is now one of the most photographed icons in the state. And experience the natural hot springs and a grand resort that has been welcoming visitors since before the revolutionary war. Everywhere you go in Virginia’s Mountain Region, you’ll fall in love with a different city or town, each with its own authentic personality. Roanoke is the largest metropolitan area in Virginia’s mountains. 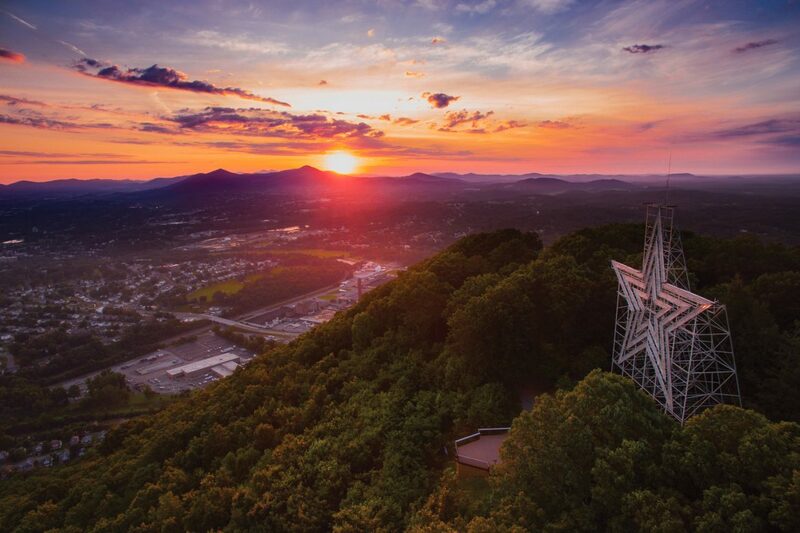 Diverse dining choices, interesting museums, great shopping, night-life and sports can be found in the Roanoke Valley. Dozens of quaint small towns dot the landscape of the Virginia Mountain Region. Each has its own history, architecture and personality, but they all share a genuine sense of hospitality and the dramatic views found only in the mountains.